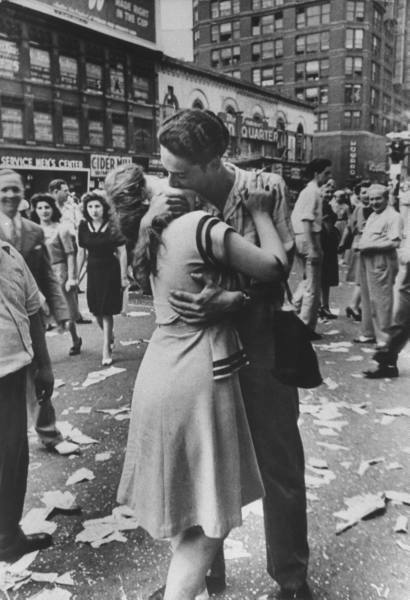 The end of World War Two came in two stages. 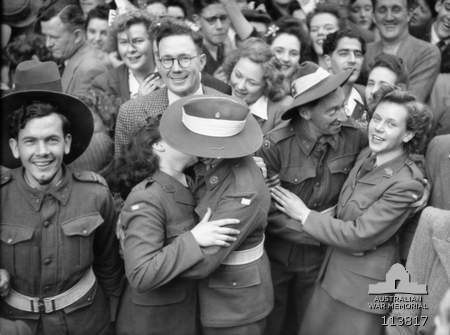 The first was V-E Day, for victory in Europe, and was naturally the cause of much celebration, especially among European nations. 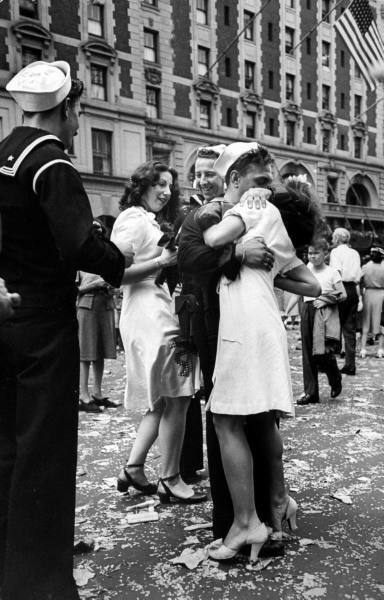 However, the final end of the war wasn't until August when Japan surrendered -- V-J day in most countries, though V-P Day, for Victory Pacific, in Australia. 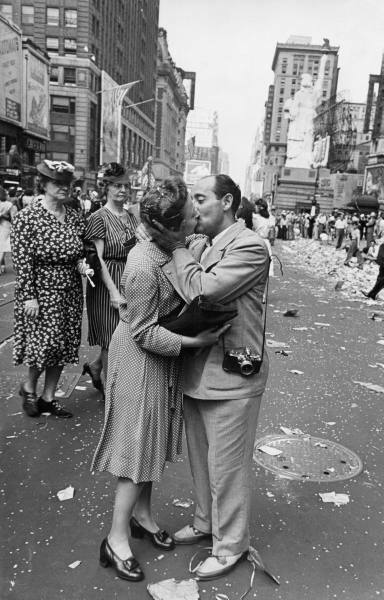 It was finally well and truly over and celebrations were great. 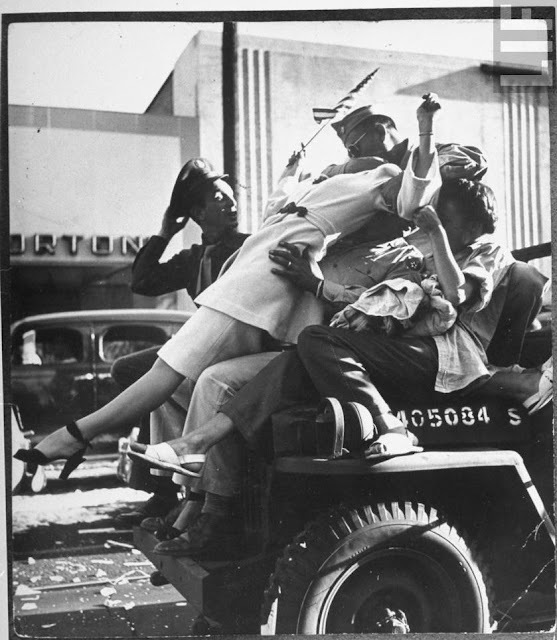 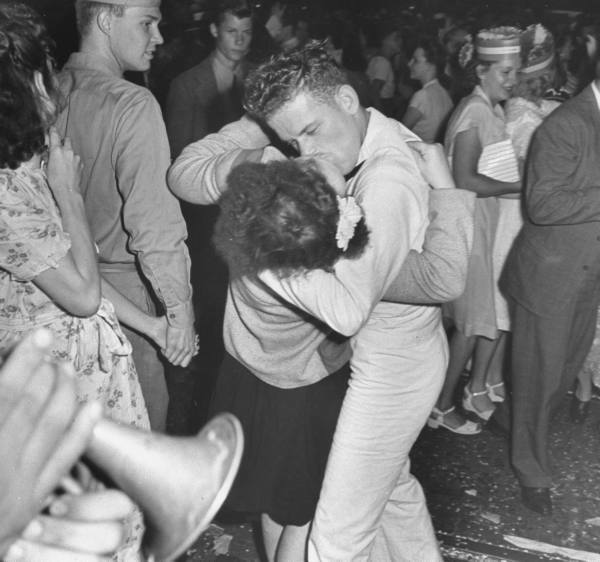 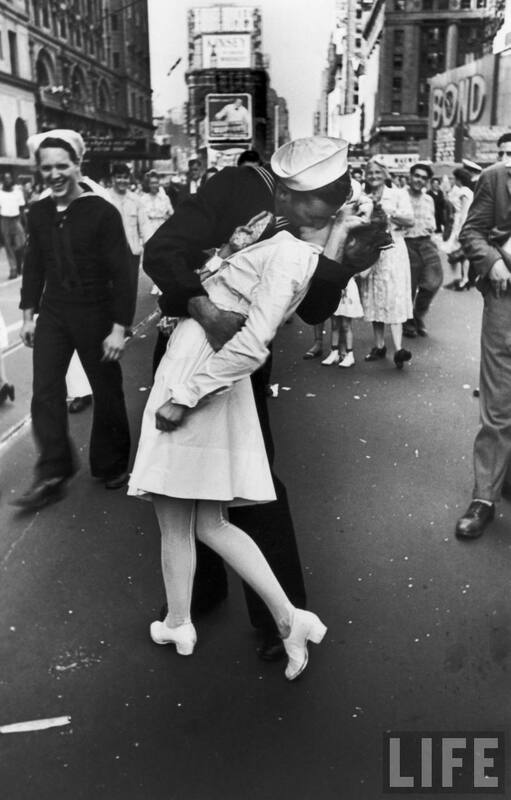 V-J Day is where we get the famous photograph of a sailor dipping a woman to kiss her in New York city-- but they were hardly the only two celebrating with kisses! All except the first of these photographs are in New York city, and from the LIFE archives. 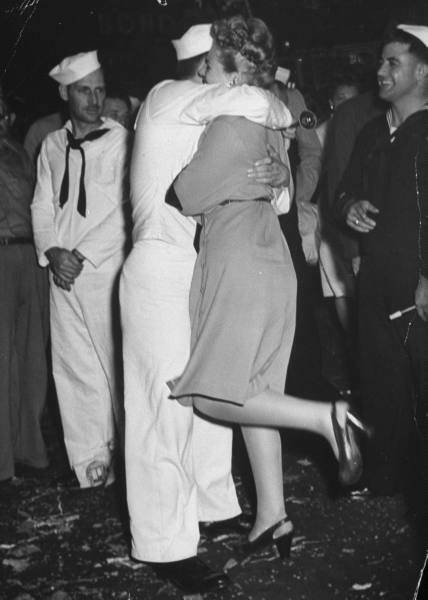 Alfred Eisenstaedt, LIFE © Time Inc.
William C. Shrout, LIFE © Time Inc.
Gordon Coster, LIFE © Time Inc.
Also interesting-- the contact sheet for 'that' photograph!